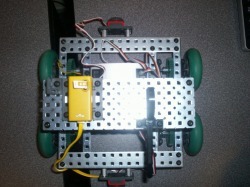 My first vex robot built at the end of 2010. 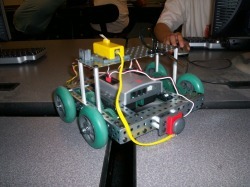 We were given the task to build a working vex speed robot in 2 and 1/2 hrs. 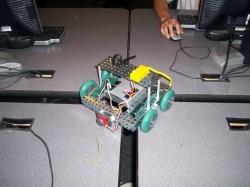 Afterwards we were having a speed run to see how long a track would take, we planned out the tracks for the summer program.